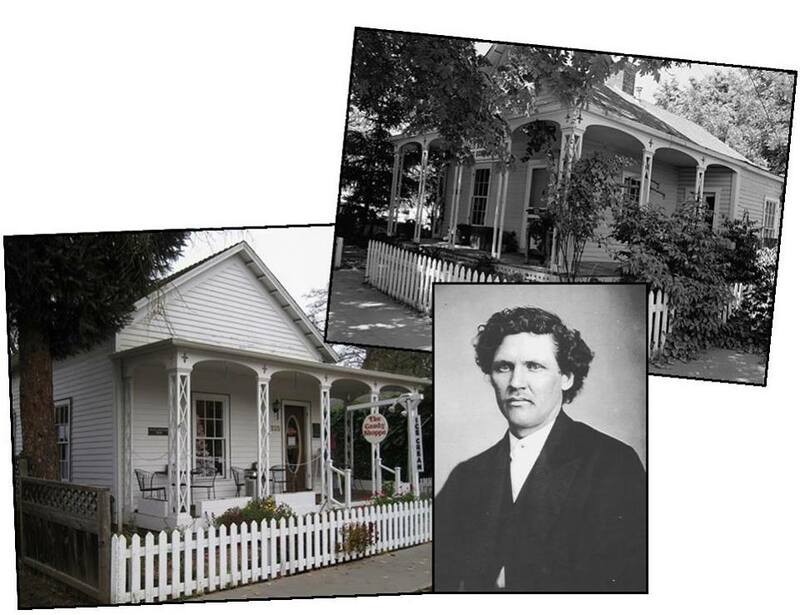 The Jackson House | Historic Jacksonville, Inc.
Dr. Will Jackson was a popular Jacksonville dentist from the late 1860s to the late 1880s. Actually, he was probably the only Jacksonville dentist during that period. Although he pulled teeth and supplied “nice natural looking teeth…for those wanting,” he is also believed to have been the first dentist in the Valley to use fillings as an alternative to extraction. His house at 235 E. California Street was his second home at that location, constructed in 1873 after a fire took out most of the block. His dentist office was “12 feet east” where Quady North’s tasting room now stands. The entire corner of California and 5th streets was originally the site of the corral and stables of Cram & Rogers, the company that brought C.C. Beekman to Jacksonville, but from 1857 on, that corner housed a succession of doctors’ offices.